Protein is an indispensable nutrient the body requires to build muscle tissue and to produce new enzymes, antibodies, hormones, and blood hemoglobin. Whey and soy protein are kinds of proteins that can provide various benefits to the human body. Here’s a rundown of their most significant differences. Whey protein is a combination of several types of protein extracted from the liquid by-product of cheese production, which is whey. Whey protein is typically marketed as a dietary food supplement that can provide many health benefits. Whey protein is said to be naturally anti-viral and anti-bacterial. In addition, it is believed to reduce liver damage, improve blood pressure and the immune system. Whey protein also works to correct digestive system functions and helps in maintaining weight. The amino acid content of whey protein is viewed as beneficial in lowering the risks of heart disease, diabetes, and cancer. It also promotes protein build-up which aids the body in recovering and adapting to stress and the development of muscles. 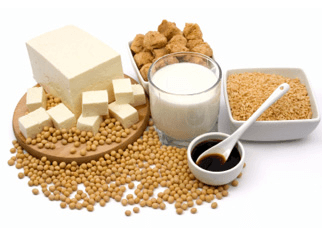 Soy protein is a type of protein that is derived from soybeans. It is made from dehulled and degreased soybean meal that is then processed into soy protein, isolates, and concentrates. The use of soy protein in health food products has grown in popularity in recent years, with many countries approving health claims for food products high in soy protein content. Food products such as salad dressings, meat products, soups, cheeses, frozen desserts, pastas, infant formulas, breakfast cereals, breads, and pet foods are excellent sources of soy protein. Considered to be a “complete protein,” soybean protein offers all the essential amino acids needed to nourish the human body. Vegans and vegetarians alike hold soy proteins in high regard and it is also known as one of the cheapest sources if dietary protein. The USFDA has approved a health claim that 25 grams of soy protein each day and a low cholesterol and saturated fat diet may reduce the risk of heart diseases. Studies have also shown that the use of soy foods as a substitute for foods with high animal protein but with saturated fat and cholesterol content may promote cardiovascular and overall health. So what’s the difference between whey protein and soy protein? Whey protein is a combination of different proteins left over from the production of cheese. Soy protein, on the other hand, is derived from dehusked and degreased soybeans. There is only 1% protein in fresh liquid protein. It would take 229 liters of milk to come up with a kilogram of quality whey protein. Soy protein can be acquired in foods such as soy milk, which is a popular milk alternative for lactose intolerant individuals or for those who cannot consume milk-based products. 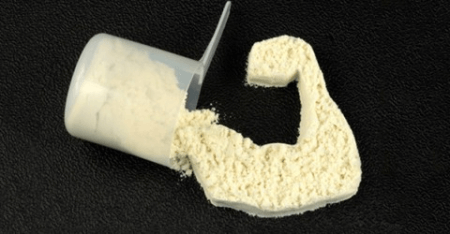 While the efficacy of whey protein in lowering the risks of heart disease, diabetes, and cancer is still being researched, whey protein is known to promote protein synthesis that may speed up the human body’s recovery and adaptation to stress. Moreover, whey protein has been proven to improve muscle protein growth and promote weight and body fat loss. An effective diet regimen and soy protein have been proven to be associated with a lowered risk of heart disease and the improvement of overall health. This is due to soy products having a high content of fiber, vitamins, polyunsaturated fats, and a low saturated fat content.